Bob Iger has announced that Disney will launch their own streaming service in 2019 and that they will pull all of their titles from Netflix ahead of the launch. Disney is dead set on dominating every single corner of the entertainment industry. Over the past few years they have really asserted their dominance on the box office but now they are looking to finally break into the streaming market. That's right. 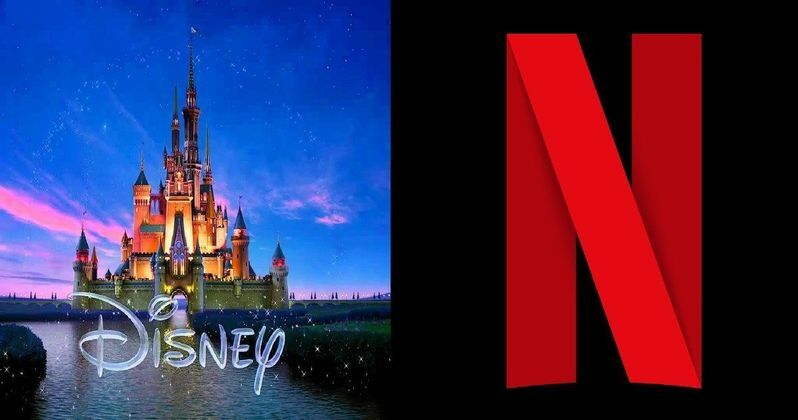 According to CEO Bob Iger, Disney is going to launch their very own streaming service in the new future and, as a result, they are going to pull all of their titles from Netflix. The news comes courtesy of Deadline who are reporting that Disney intends to launch this currently untitled streaming service in 2019, which will also be when they intend to end their partnership with Netflix. Not only will this allow the biggest studio in Hollywood to gain their own streaming platform, but it will deal an instant, crushing blow to their biggest competitor. Netflix has had the good fortune, because they were willing to shell out a fortune, to exclusively get access to Disney movies, including Star Wars and Marvel movies, just weeks after the home video release. Here is some of what Bob Iger had to say about the movie during a recent earnings report. "This acquisition and the launch of our direct-to-consumer services mark an entirely new growth strategy for the Company, one that takes advantage of the incredible opportunity that changing technology provides us to leverage the strength of our great brands." The acquisition that Bob Iger is referring to is BAMTech, a media company that will power their streaming services moving forward. Disney paid $1.52 billion for a 42 percent stake in the company recently. According to the report, Disney is also planning on launching a similar sports-centric streaming service for ESPN starting in early 2018. So they are taking the future very seriously and, as Iger tells it, these moves "set the company up well no matter what changes occur in the media ecosystem." There was no discussion of pricing for this Disney streaming service, but considering their truly massive library of titles available, it will certainly be a desirable one. Considering that Disney puts out the biggest box office draws in the current marketplace, with Star Wars, the Marvel Cinematic Universe and their recent live-action adaptations, that will hurt other competitors, like Netflix, who are looking for big titles to bolster their library. Granted, Netflix has made a dramatic shift to original programming in recent years, but some users are frustrated with the shrinking library of licensed content available on the world's largest streaming service these days. This certainly won't help that situation. This is a major move by Disney, but one that makes a lot of sense. There were rumors circulating a while back that the Mouse House was looking at possibly buying Netflix, but that would be a tremendously expensive endeavor. Instead, they will just try and carve out their own corner of the market and make use of their own very desirable library of titles. If Disney can come up with a desirable price point, we could see Netflix lose some ground in the coming years.